Disclaimer first: I commented on this article extensively and contributed some material and knowledge to it, but I have no financial interest. With that out of the way, I am very pleased to see it shaping up now into what is a very nice addition to our knowledge of the air war in the western desert. I can only highly recommend this to anyone interested in the period and theatre. A bit of background, the Wuestennotstaffel was a specialised unit under the command of Fliegerfuehrer Afrika (German air force commander Africa), equipped with the venerable Fieseler Storch (incidentally produced in my university town of Kassel – my personal connection is that while a taxi driver there, I once drove an old lady to Sunday tea who had worked on assembling them during the war). 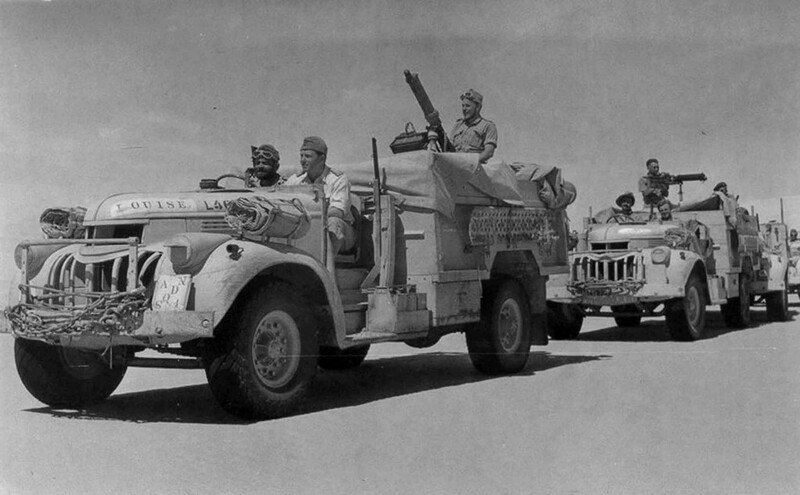 The Wuestennotstaffel had the primary task of rescuing downed pilots in the desert. It was unique, no other air force in the theatre had such a formation. It also carried out other tasks, such as local recce, sea search and support of shipwrecked/downed personnel ‘in the drink’, and courier/liaison/personnel transport duties. It was by all accounts a fascinating little outfit. The below is a straight copy from the Air War Publications blog (at this link), posted here with their permission. A lot of material has surfaced since Adam Thompson and Andrew Arthy started digging into the desert activities of this fascinating and unusual unit thirteen months ago. They uncovered far more exciting stories than expected, including run-ins with British elite forces the Long Range Desert Group and the Special Air Service, the capture of a prominent German general, and, of course, lots of rescues of Allied and Axis personnel from the Libyan, Egyptian and Tunisian deserts. Therefore, due to the article’s length it has been split into two parts, the first of which will be published soon. As always, our articles will be illustrated with photographs, colour maps, tables and aircraft profiles. We’ve been very fortunate to contact the families of some of the men featured in the story, and the resulting exchange of information has produced some excellent insights into the activities of the Wüstennotstaffel. Here’s a short taste of Part I of the Wüstennotstaffel eArticle, from the period November-December 1941: “The Wüstennotstaffel was kept very busy during the Operation Crusader fighting of November and December 1941, and growing Allied air strength presented some new challenges. Twice in two days, on 22 and 23 December, Staffelkapitän Hauptmann Heinz Gustav Kroseberg had the misfortune to land his Fieseler Storch at North African airfields just before they were hit by British bombing raids, although on both occasions the 42 year old escaped unscathed. On the first occasion his passenger was the Fliegerführer Afrika, Generalleutnant Stefan Fröhlich, who had been given a ride by Kroseberg between forward airfields. A No. 24 SAAF Squadron Boston was shot down by Oberfeldwebel Espenlaub of 1./JG 27 on the morning of 24 November, and the four South African crewmen reluctantly enjoyed Hauptmann Kroseberg’s rescue services. The Staffelkapitän and another Storch collected them from the crash site, flew them 25 kilometres to Gazala, and later in the day transported them to internment at Derna. The Boston’s pilot, Lt. B.G. Roxburgh, ended up in German prisoner of war camp Stalag Luft III. Also on the prisoner transport flight to Derna was the very recently injured Wüstennotstaffel pilot Unteroffizier Konrad Hupp, released from Gazala hospital after crashing his Storch on the previous day. 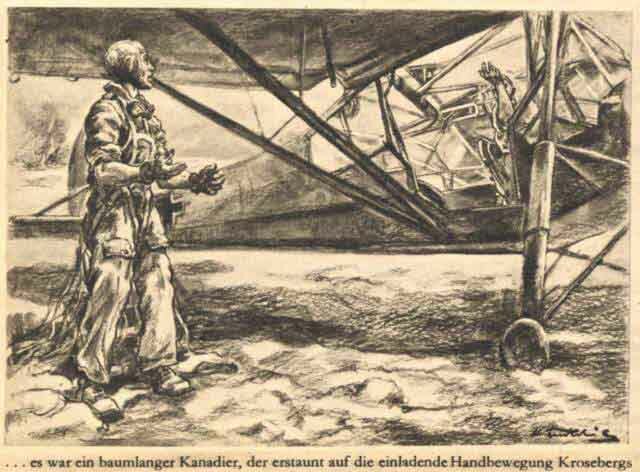 On the next afternoon Hauptmann Kroseberg was out on a desert rescue search when he was jumped by what he called Hurricanes, although they were actually No. 3 RAAF Squadron Tomahawks. Sergeant Rex K. Wilson managed to down the slow-flying German liaison aircraft ten kilometres south of Acroma, but the Wüstennotstaffel commander was unhurt. The aircraft – officially on the strength of the Stabsstaffel Fliegerführer Afrika – was destroyed, and one of Kroseberg’s passengers, Leutnant Gorny, was wounded in subsequent strafing runs made on the downed Storch. Overall, aircraft serviceability of the Wüstennotstaffel was quite low during the Crusader period, reflecting various factors, including the difficulty in ensuring an adequate supply of spare parts and equipment to the North African theatre. The table below provides some examples of the unit’s poor serviceability record in late-November and early December 1941. This entry was posted in Book Reviews and tagged air war publications, German forces, luftwaffe, wuestennotstaffel. Bookmark the permalink.